The Child and Adult Care Food Program provides cash reimbursements for meals served in child day care centers, family and group day care homes, and adult day care centers. Programs are reimbursed according to the number of meals they serve to children. Child and adult care centers receive reimbursement based on family size and income. Day care homes and group family day care homes receive reimbursement based on income level of the area or of the family. Child day care homes, child day care centers, and adult day care centers must be licensed in order to participate in the Child and Adult Care Food Program. In order to participate in the Child and Adult Care Food Program, day care homes must be located in a home. Group family day care homes must be in a residential building. It may be a provider’s home or it may be a vacant home. Note that licensing for a group family day care home allows it to be in another building (not necessarily a residence); however, if it is not a residence, that group family day care home is not eligible to participate in the CACFP as a sponsored home. In that case, it may be possible for that group family day care home to participate as an independent center. For more information about the site’s eligibility to participate as an independent center, contact the Child and Adult Nutrition Services office at (605) 773-3413. Applications for the Child and Adult Care Food Program (CACFP) are now collected through a web-based application. The web-based system is called iCAN. To apply for the CACFP as a center-based or home-based sponsor, you must contact Child and Adult Nutrition Services at (605) 773-3413 to request access to the web-site. If you have a current application with the Child and Adult Nutrition Services office, you should have access to this site already. If you have any issues, please contact the CANS office at the same number. Your call will be directed to someone who can help you to gain access to this system. If you need to request access to the iCAN system as a new agency (i.e. not on any other Child Nutrition Programs), please complete the New Sponsor Profile form and email it to doe.icanhelp@state.sd.us. Please note that you will also need to complete the New User Request form (below) to obtain access for each individual that will need to have access to the online application or claims. If you need to request access to the iCAN system for a new user please complete the iCAN User ID Request form and email it to doe.icanhelp@state.sd.us. A separate form must be completed for each individual that needs to have access to the iCAN system for applications and/or claims. User IDs and passwords are specific to each individual and may not be shared with others. Claims for the Child and Adult Care Food Program (CACFP) are now completed through the iCAN system. Log into the iCAN system found at https://ican.sd.gov/ICAN/Splash.aspx. If you have any issues, please contact the CANS office at (605) 773-3413 and your call will be directed to someone that can help you. Snacks and meals can be a part of the after-school care programs. CACFP agencies that are offering snacks and/or meals to children in after school settings may be eligible to receive a higher rate of reimbursement for those children if specific circumstances are met. Agencies that are serving a snack and/or meal service for children in after-school care situations may call Child and Adult Nutrition Services (CANS) at (605) 773-3413 to get more information about this opportunity. The Child and Adult Nutrition Services (CANS) office is excited to announce the “CACFP Basic” and the “CACFP Plus!” training workshops. 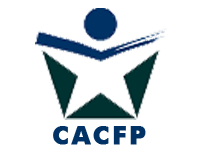 If possible, make plans now to attend a “CACFP Plus!” and/or one (or both) of the “CACFP Basic” workshops in your area. While these specific workshops are not mandatory, it is mandatory that every local agency participate in annual training. If the local agency does not take advantage of these training sessions, the local agency is responsible to ensure that your agency completes state-sponsored CACFP training prior to the end of the current program year (Sept, 30, 2019). CACFP Basic Training workshops are suggested for new agencies in the CACFP or new staff working with the CACFP within your agency. These workshops are not intended for “veteran” employees who have recently attended a CACFP workshop. These workshops provide very basic training in the CACFP. Some of the CACFP training topics will be covered on both days since they are duties that may apply to both administrative and food service staff. We understand that some agencies have the same person doing all (or most) of the CACFP duties. When the same person is attending both dates, the repeated session (civil rights) only needs to be attended on one day; however, that individual would be welcome to attend on both days, if desired. These training sessions are a chance to gain information that is needed to operate the CACFP and are free of charge. Registration is limited to 25 people per session. Due to the limited number of participants, new agencies and new staff will be given highest priority. CACFP Basic Administrative will cover the CACFP duties that are typically done by administrative staff. CACFP Basic Food Service will cover the duties that are typically done by food service staff. CACFP Plus! workshops are suggested for agencies that have CACFP staff that just need a review of the requirements to meet the annual training requirement but do not need an in-depth training on the topics. This workshop includes all the required CACFP annual training topics. Please notice that we are offering two sessions of the CACFP Plus! workshops in Rapid City and Sioux Falls. Each session will be identical. Registration must be completed no later than 20 days prior to the date of the workshop you plan to attend. We will accept registrations received after the 20-day deadline only if there is space available. We will email one confirmation with specific information and directions to the sites to the person who fills out the registration form. That individual needs to share the directions and other information to everyone who is registered to attend the workshop(s). Note that there are times when different rooms are used within the same building so the directions need to be shared with everyone who is attending a workshop. Notice is further given to individuals with disabilities that these workshops are being held in a physically accessible place. Accessible parking is available; please contact our office at (605) 773-3413 for specific location of accessible parking at the site you will be attending. Please notify our office at least two weeks prior to the workshop if you have any special needs for which we will need to make arrangements. Call about requests for alternative formats and/or interpreters e.g. Disk, Braille, Large Print, Interpreters, or Other. The telephone number for making special arrangements is (605) 773-3413. Every person within an agency must be trained in their specific CACFP duties before they begin those duties and at least annually after that. To receive training credit on any topic, the training quiz, provided as handout on each webinar, must be completed and sent to the CANS office. A score of 15 correct (out of 20 questions) is required to receive training credit on that topic. Make sure that the staff names and agency name is clearly printed on the training quiz. These webinars play best when using Internet Explorer. They will not play correctly and may not play at all in other internet applications such as Chrome, Foxfire, etc. The Healthier CACFP Award is a recognition system that supports the wellness efforts of child care centers participating in CACFP. Child care centers taking steps to improve the nutrition, physical activity, nutrition education, and/or environment for children in their care can apply to win an award in one or more of these categories. Three award levels are offered: Honors, High Honors and Highest Honors. Participation in the CACFP and compliance with CACFP regulations is required to be eligible for the award. Applicants are required to be in good standing with the CACFP, defined as having completed and implemented all corrective actions from the previous compliance review and having not been seriously deficient in the past two years, at the time of application. The program application includes criteria in four categories: Menus, Physical Activity, Nutrition Education, and Environment. Applicants can choose which category(ies) they would like to apply for and at which level, and then submit the application to their State Child Nutrition Agency. It is highly recommended that applicants utilize the Healthier CACFP Award Resource Book, which explains “why” and “how to” for each criterion and provides guidance and tools to assist with implementing the criteria.